We are a veteran owned company and want to give back anyway we can, so we try to help support veteran sponsored fishing tournments and other veteran owned companies. TRCcovers will be the last covers you ever need to purchase. Custom Rods deserve custom protection. The life of the rod is based on the care it's given and that starts with TRCcovers. We know that the life of your rod is depending on your cover. We want to see every angler have a TRCcover on their rod, the only custom handcrafted cover on the market. Protect your rod and spend more time on the water with a tangle free rod. Get the only rod protection you will ever need from TRCcovers. From one Angler to another, "Where is your TRCcover?" 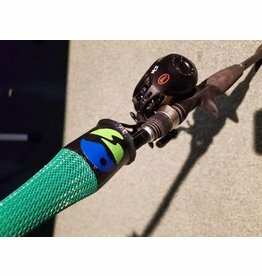 Custom handcrafted fishing Rod Cover comes in many color combinations and sizes. This bait cast rod cover keeps your lines tangle free. 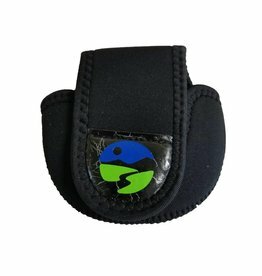 Handcrafted Spinning Cover with floatation device which offers rod tip protection. Each rod cover is dipped on both ends to prevent fraying and labeled with the size of the rod. Protect your fishing reels from damage with a fishing reel cover. Our reel covers are essential in any fisherman's arsenal and durable enough to last.